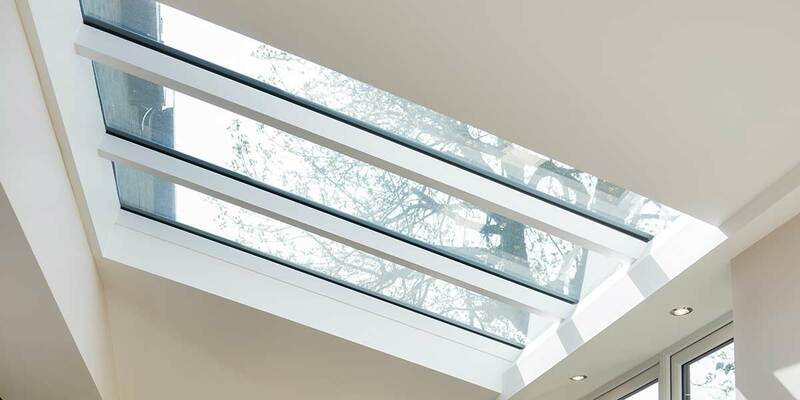 Just when you’re about to lose all faith in your orangery’s ability to keep you warm throughout the year, along comes the Ultraroof system. 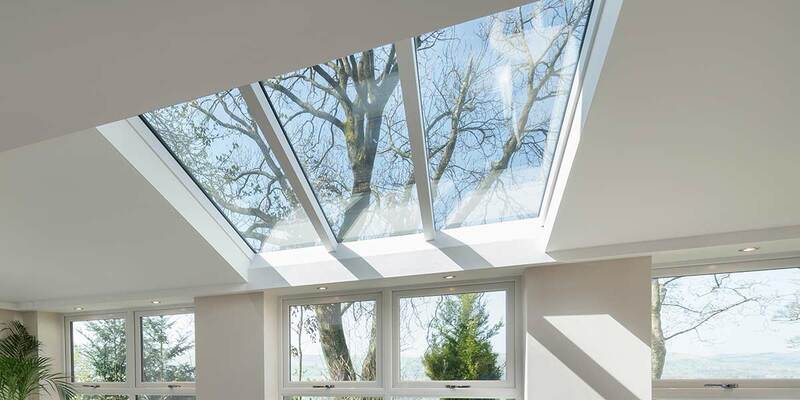 Prior to the installation of an Ultraroof this orangery had become strictly out of bounds after ceasing to supply suitable thermal insulation. 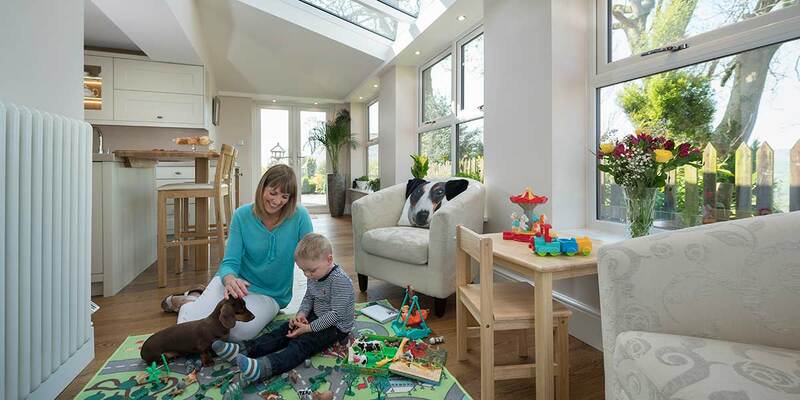 Now, the occupants can’t drag themselves away from it. 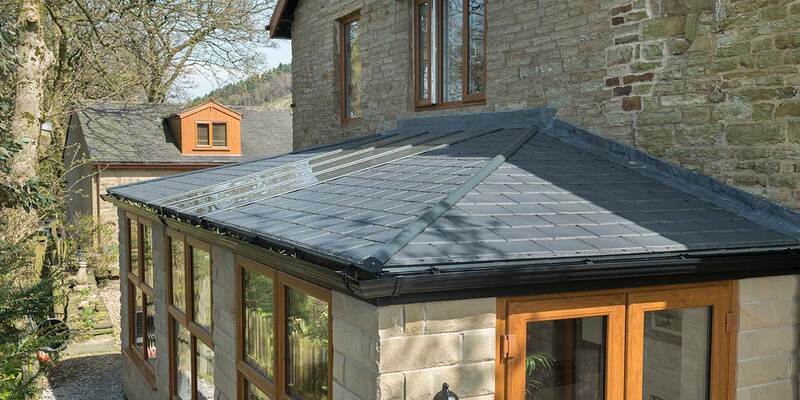 This is because the old roofing system has been replaced with the cutting-edge Ultraroof, a roof that consists of lightweight tiles / slates and lengthy glazed sections. 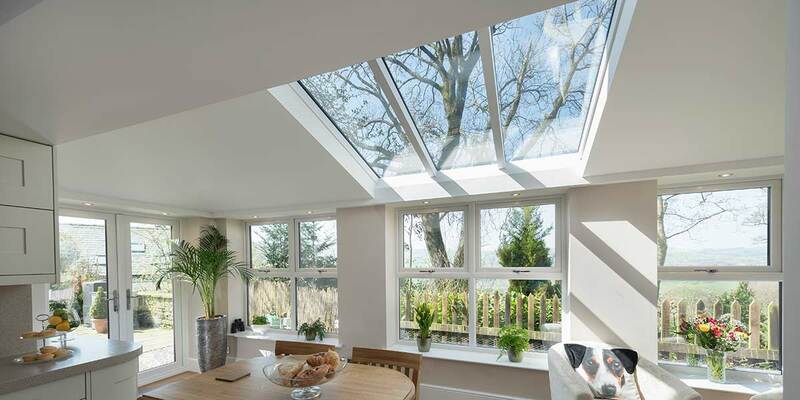 It’s just as busy at night as it is during the daytime as spotlights have been integrated into the perimeter ceiling to ensure that lounging, cooking and dining can be enjoyed as and when its owners get the urge to do any of that. 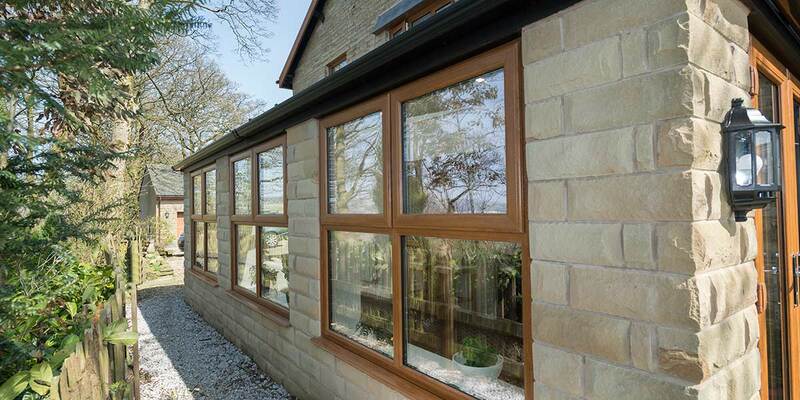 Golden Oak was the favoured finish for the windows and doors that encompass much of the design in an effort to give the orangery an authentic feel. 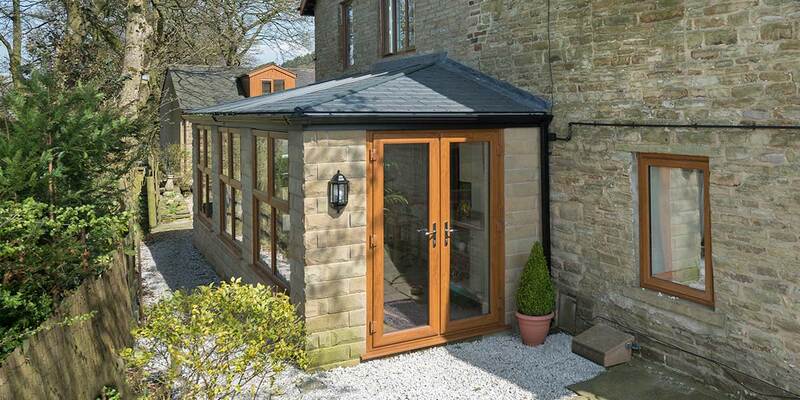 It was a no-brainer to also add French doors to the orangery so that movement between the extension and garden can be achieved with stylish simplicity. But let’s speak about those glazed panels again. 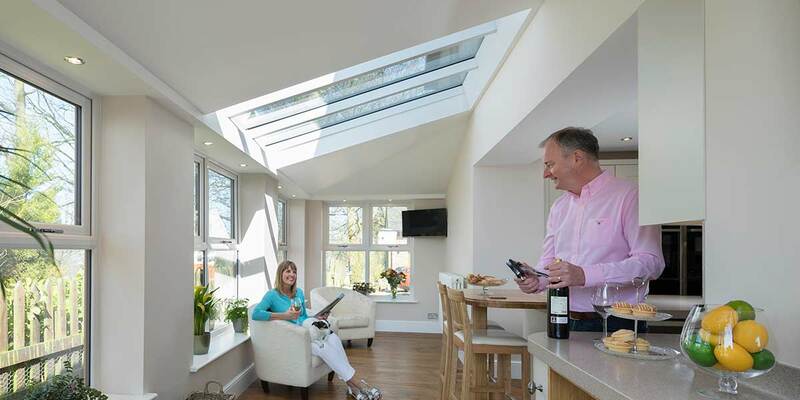 They modernise the appearance of the Ultraroof and have put a huge grin on the orangery’s occupants as yet again they can count on their orangery for reliable extended living, that’s why the champagne has been popped open.